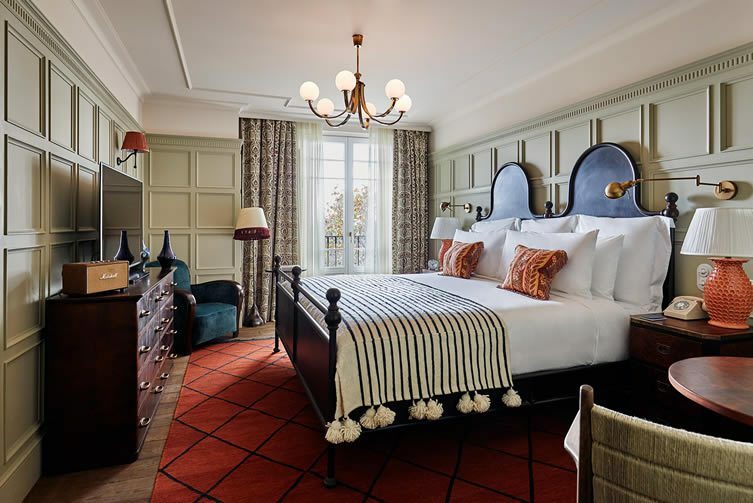 Two members’ bars; Cowshed spa; rooftop terrace complete with heated pool; gym; soon to be opened speakeasy bar; private cinema; and 57 guest rooms … Soho House Barcelona has a lot going on. All this could have just been another cool import, another big name doing what they do best regardless of location. However. 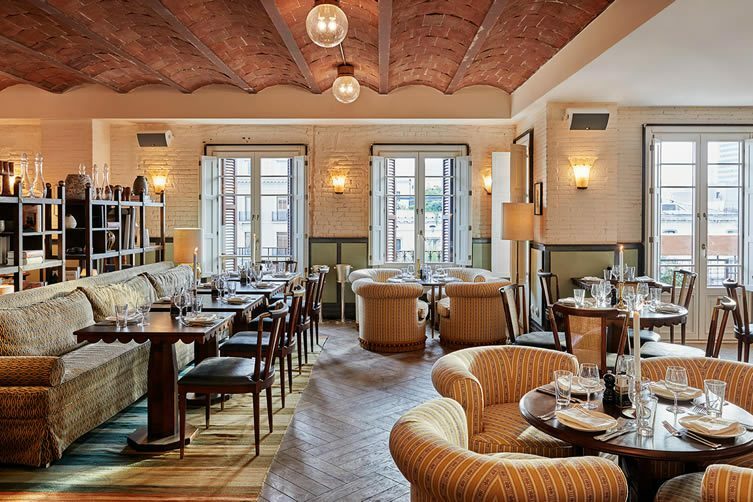 The House brings all its London swagger but delivers it with a distinctly Catalan twist. 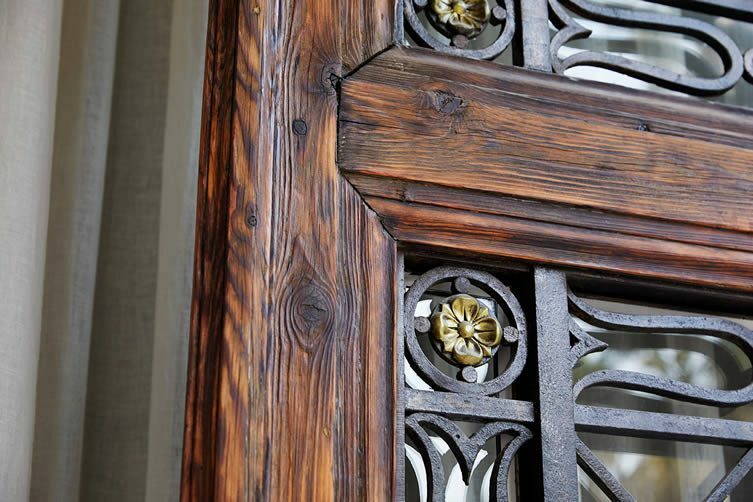 Interiors are inspired by materials and decoration typically found in Barcelona’s buildings. 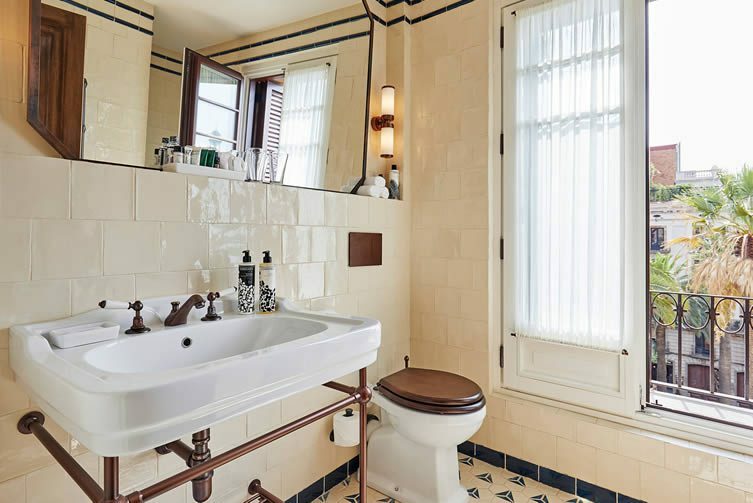 Hydraulic patterned tiles line the floors while the ceilings are finished in a typical Catalan vaulted style, custom-made chandeliers light the reception areas, and an eclectic mix of furniture lends the members’ bar a cosy feel; exactly what you want to find in a Soho House. 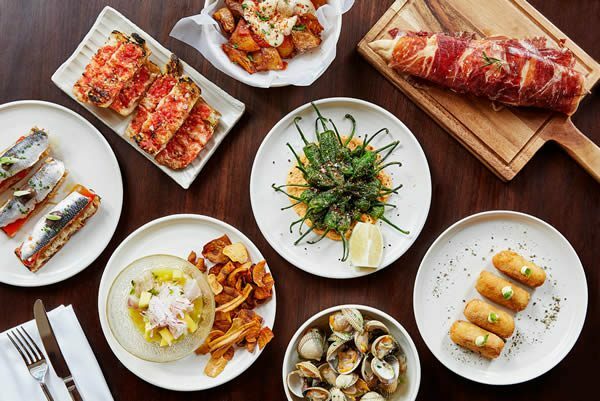 The menus for the members’ bars are inspired by the Med — which you can see out of the window — and will change every three months to offer the best in local produce. 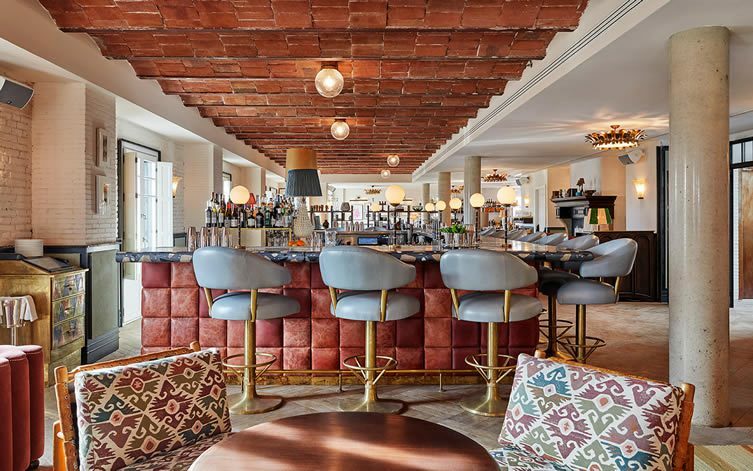 The rooftop with its heated pool is the only place to soak up the famously mild Catalan climate, as well as enjoying views over the church of La Merce; who just happens to be the city’s patron saint. 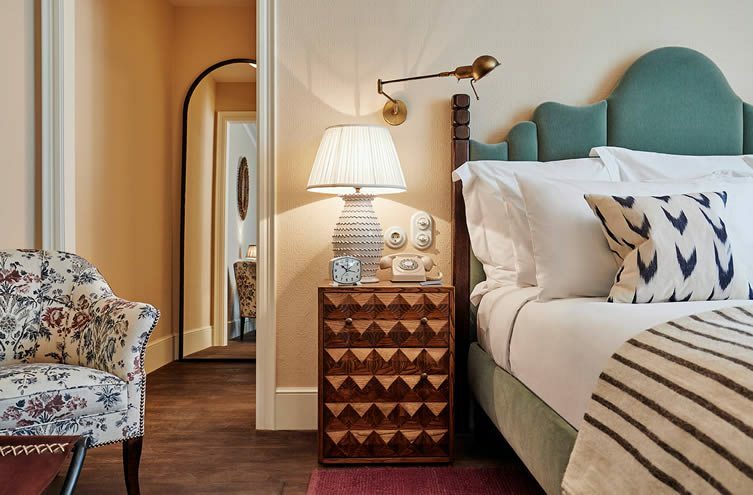 The 57 guest rooms are furnished with antique and bespoke furniture — all available to take home through Soho Home, of course — and hark back to the colonial era, with studded leather bedside tables, mahogany wardrobes and cut glass crystal for the mini bar. Guests can make the most of all the facilities throughout their stay — including the Cowshed spa, a warm inviting space stacked with armchairs which, as the spa manager informed us, are perfect for catching forty winks during a manicure. 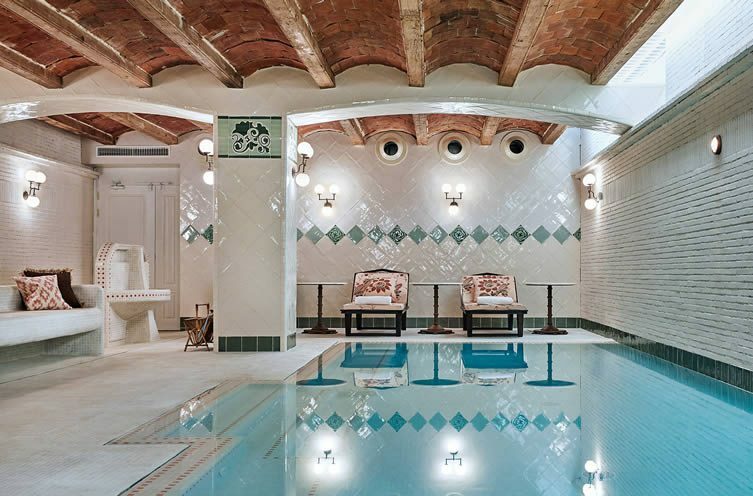 The indoor pool is reminiscent of art nouveau bathing houses, with tiles and mosaics lining the floors and wall, and at the same time nods to the building’s original use as the family home of wealthy pharmacists. The members’ events calendar is jam-packed with masterclasses, workshops, cinema nights, DJ sets and talks from the good and great of the creative industries. 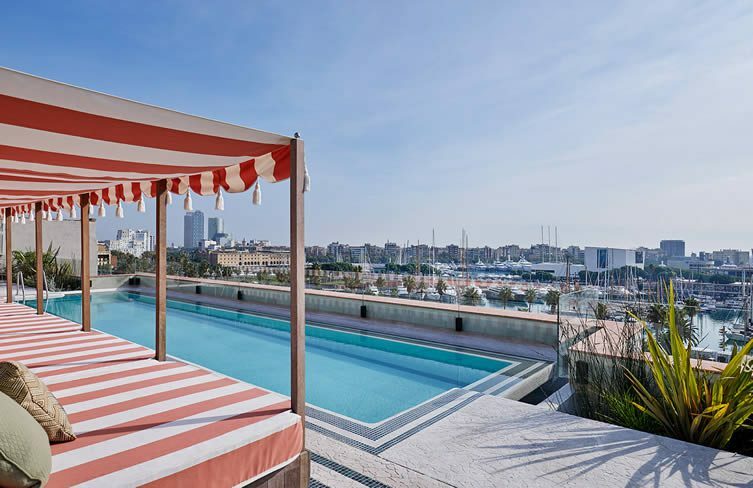 We’re keeping our eyes peeled for the next phase of Soho House Barcelona — the Soho Beach House — which is due in time for the summer.